I don’t like to think about it. I prefer to ignore liars. They didn’t mean it, I think. 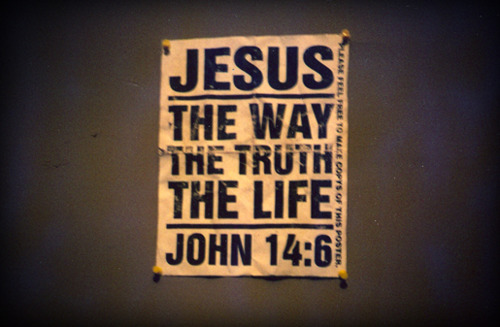 Jesus is the Truth! There are professional liars. Paul is clear that I can be clear about what is going on. I can know the truth because I know Jesus. Why is it so important to understand and embrace the concept of the absolute truth of King Jesus in all areas of life (including faith and religion)? Simply because life has consequences for being wrong. Giving someone the wrong amount of a medication can kill them; having an investment manager make the wrong monetary decisions can impoverish a family; boarding the wrong plane will take you where you do not wish to go; and dealing with an unfaithful marriage partner can result in the destruction of a family and, potentially, disease. God loves us and gives us the Truth in His Son Jesus. God demands I face the truth and change my way of thinking (aka repent). God is good and everything He created is good. It all serves a purpose. I am to be thankful. I am to be grateful. Jesus sets me free to see the truth. I must reject the message of the professional liars. A couple of things to remember about the truth. “God loves us and gives us the Truth in His Son Jesus. God demands I face the truth and change my way of thinking (aka repent). God is good and everything He created is good. It all serves a purpose.” Indeed! We do have to take a hard look at ourselves (many hard looks), and God is so kind in his discipline to teach and transform us and confirm into the image of Christ. God bless you! Sadly this passage really describes our age!